What Star of a TV Series was Written Out of the Show's Final Episode? “The Brady Bunch” was a hugely successful sitcom which ran for 5 seasons (117 episodes) from 1969 to 1974. One of the show’s stars was Robert Reed, a Shakespearean trained stage actor. Previous to “The Brady Bunch”, Reed had also been a co-star of a very successful drama called “The Defenders” with E.G. Marshall in the early 1960s. Usually when a TV show is canceled, it happens mid to late season, before production actually winds down. The actors know they have been canceled, but they wind down and knock off the last few episodes. In recent years, a final “end-of-the-series show” has become almost a ritual in Hollywood. When “The Brady Bunch” was winding down after their fifth season, they had every reason to believe they would be returning for a sixth season in 1974-75. Robert Reed was not crazy about doing the series, but he stuck with it because, like most actors, he needed the work. Reed often tangled with producer Sherwood Schwartz over the shows silly, inane plots. Before “The Brady Bunch”, Schwartz had also been the producer of “Gilligan’s Island”. This fact alone is very telling. Schwartz was a genuinely nice man and a very successful producer, but it was simply apparent that although both series ran during the turbulent late sixties and early seventies, he did not care for dealing with or giving time to “social issues” of the times. “The Brady Bunch”, like “Gilligan’s Island” before it, was good-natured, innocent fluff- essentially, cotton candy on TV. Reed just hated the ridiculous, juvenile stories “The Brady Bunch” had and he would frequently send Schwartz memos telling him what was wrong with the episodes and how he could improve them. Reed wanted the series to be more than just a silly sitcom and wanted to combine other elements in the show’s scripts, such as satire and farce. Not surprisingly, the two got into more than one argument on the set over the storylines the show’s contained. During the 1972-73 season, Reed was even written out of an episode where Alice, the housekeeper on the show, leaves the Brady home and does not return until the end of the episode (titled “Goodbye Alice Hello”). Reed thought Alice’s character, if played correctly, would not leave the family household after “telling on” the kids. He did not agree with the “Alice” character’s “motivation”. So, he was written out of the episode, although his character was referred to by cast members. Reed’s growing discontent continued, and Schwartz tried to placate him by letting him direct several episodes. As a relevant side issue, Robert Reed was also one of television’s first “closet gays”. From the first time he had to kiss his co-star and “wife” Florence Henderson, he must have felt uncomfortable and uneasy, no matter how professional he was. In fact, according to Florence Henderson, she knew Reed’s “secret” from the first time the two locked lips. This secret undoubtedly played at least a small part in Reed’s growing unhappiness with the series. Nonetheless, Reed had a genuine affection for his fellow cast members. And the Brady children seemed to have regarded him as something of a second father, as would be natural after five years of filming the show. Before the last episode, because of the trouble he was causing and discontent he had over the show, it was generally agreed that Reed would not be back for the show’s upcoming sixth season. How would this work? Reed would not be back, but his character would be “passively referred to”, as in “dad is away on a long business trip” etc. The (unknown at the time) final “Brady Bunch” episode was filmed, with the somewhat awkward plot of Greg graduating from high school with his father nowhere to be seen; “dad” was simply referred to a few times in the episode. Little did the viewing audience know, but as the episode was filmed, Robert Reed was present and standing a few feet off-camera. It was reported that Reed was disgusted by the inane episode and having been written out of it, stood off to the side, making faces as the show was filmed. Soon after the conclusion of the episode, it was decided that “The Brady Bunch” would end its successful five-year run, thus providing a rare instance of a lead character getting written out of the last episode of the show he starred in. 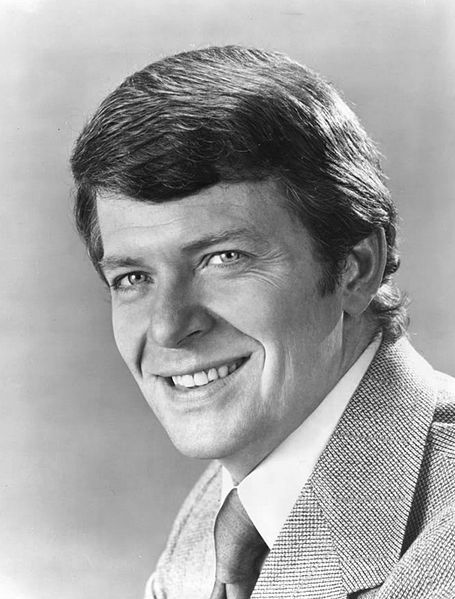 Despite his ongoing dislike of elements of the show, Robert Reed did return in his role as “Mike Brady” in “A Very Brady Christmas”, “The Brady Kids”, “The Brady Girls Get Married” and all the other “Brady Bunch” spin-offs and reunions. Despite perhaps still disliking the plots, as with all except the most highest paid actors, most of the time you just need the work. Robert Reed died at the age of 59 in 1992 from colon and bladder cancer and was suffering from HIV at the time of his early death. I never cared for Robert Reed’s portrayal of Mike Brady – he just wasn’t believable. So, he was a professional actor but you’re assuming he was uncomfortable playing straight? He had to ‘play straight’ most of his life- on & off camera. Interesting little read, but that part just seems like a stretch to fill up some space. If you watch the first opening show you will see that the ‘mom’ character, Carol Brady, wasn’t a widow, that only the ‘dad’, Mike Brady’s character, was a widower. So bringing back Carol’s first husband wold have been a definite possibility, if not an awkward one. So Reed could have made it more like an early Modern Family? Reed: This father just isn’t very believable. Could we have an episode where dad goes to a leather bar and and plays twister with a couple of bikers? Schwartz: How would you like to direct? Never ever while watching (mid 70s reruns) did I have a clue that Robert was ever unhappy in the role. He WAS convincing in that respect, and I was too young to even consider he was homosexual. Not sure he was even a “suspect” of any rumors THEN. I looked up to Robert Reed & would wish my father was more like him. Thank U Mike (Robert) for making my life so much better growing up. I thought Bob Reed did a terrific job as Mike Brady. When he’d have those little talks with one of the kids, it made you wish your own dad was that loving and caring. I’m sorry to hear that his personal life was filled with so much angst and unhappiness. He’s missed. Robert Reed was a good actor and very believable in his role as Mike Brady. The show was more important to American culture than he knew. With the disintegration of the family unit, the character Mike Brady is the closest thing to a father figure that many kids grow up with these days, to know what a father is supposed to be like. e.g.,Mike Brady was not a deadbeat dad or meth addict.